An interesting discussion about the intentional aesthetic considerations in taking pictures of outer space. The connections to the 19th-century paintings and photographs also go beyond appearance and an evocation of the sublime. 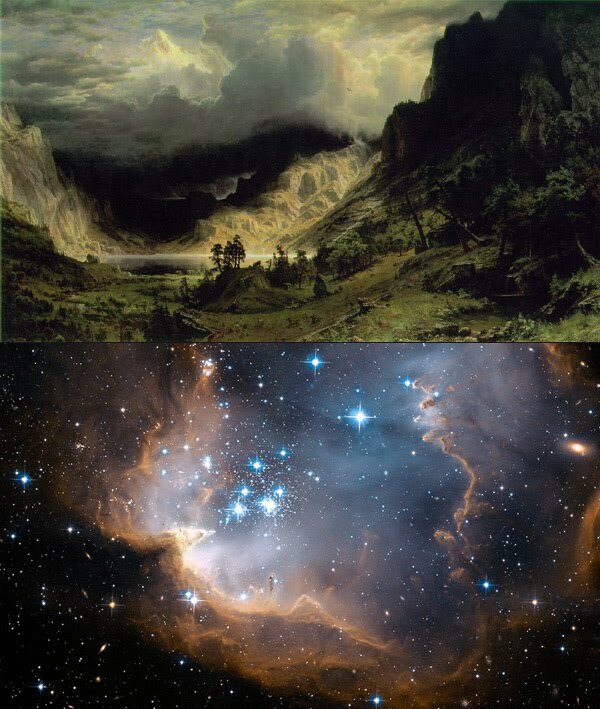 The works of Moran, Bierstadt and others symbolise exploration and the frontier. Many of the artists and photographers accompanied scientific surveys of the American west, and their work was used to promote further scientific study of the region. In many ways, the Hubble images have a similar function today. They promise the possibility of new frontiers, new places to discover, new worlds to know.